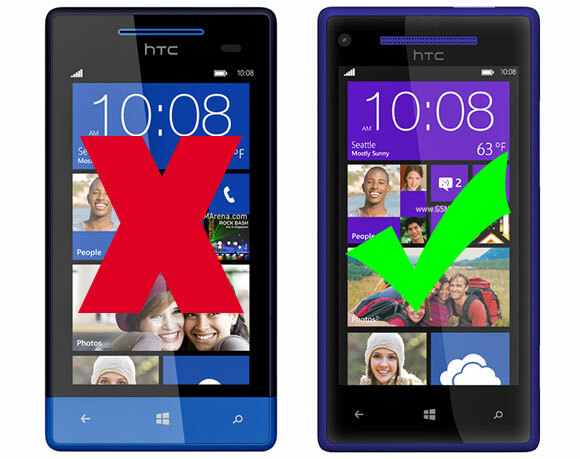 On its official support forum, HTC has shared its plans for its latest duo of Windows Phone devices - HTC 8X and HTC 8S. Sadly for HTC 8S users, the company will not release Windows Phone 8.1 GDR1 update for the phone. The reason is it doesn't meet the update's hardware requirements. While those aren't clear, the low internal memory of the phone is the major suspect. The Nokia Lumia 530 also sports 4GB of internal storage, so it'll be interesting to see if it gets the update, too. In contrast to the 8S, HTC confirmed that the 8X will receive the update, but not immediately. The company needs to assess the stability of the device running the update and then will push it out to users. A more specific timeframe isn't available at the moment. To get a better idea of what the Windows Phone 8.1 GDR1 update is like, check out our extended hands-on. I'm still not getting gdr1 on my htc 8x, when will i get it ? any idea ?